Ladies get first win at the Oval! 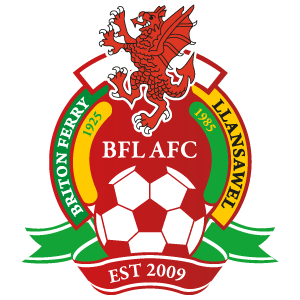 Briton Ferry Llansawel Ladies made their first trip north of the season on Sunday to the Oval ground in Caernarfon and deservedly returned with all three points. It was the hosts that started strongest though and they took the lead in the 5th minute when Alesha Donohue was on hand in the six-yard box to finish a cross from the left. 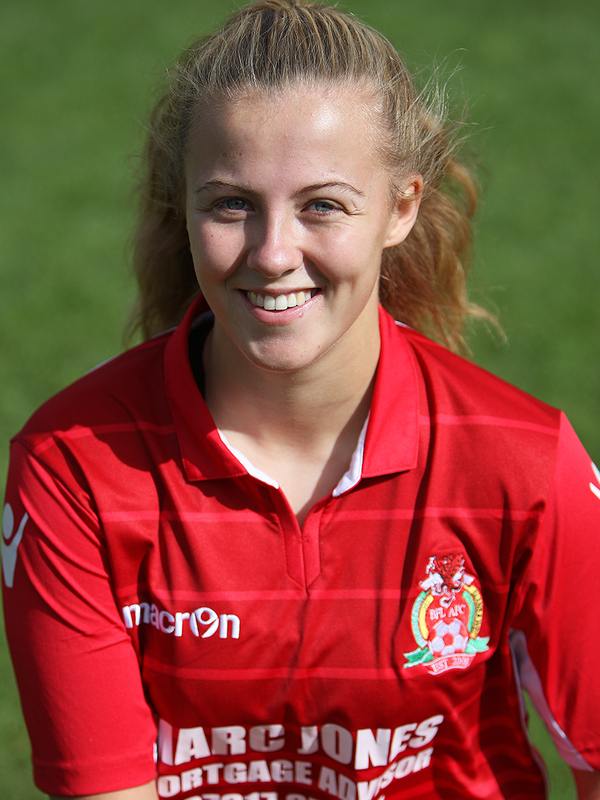 Lucy Powell(pic) shot just wide for the reds in the 7th minute before the hosts doubled their lead in the 17th minute with a harshly awarded penalty which was dispatched by Ffion Owen. In the 25th minute the impressive Kayhlan Norgrove shot just over for the reds before on the half hour mark Ferry keeper Courtney Young was called on to make two good saves in the space of a minute to keep the deficit at just two goals. However, the reds finished the half really well with Aimee Heath and Kearle (twice) seeing their efforts well saved by Caernarfon keeper Sara Williams. The hosts did strike the Ferry crossbar with a speculative effort in between before in the final minute of the half Kearle played a ball to Ela Roberts on the right and she cut in and finished well low into the far corner to hand the reds a lifeline as they went into the break. After some strong words at half the Ferry girls came out firing in the second half and totally dominated proceedings. Kearle equalised in the 62nd minute following a great ball from Powell and just three minutes later the reds were ahead when substitute Caitlyn Phillips fed Powell who produced another great finish to make it 3-2. The reds continued to push forward looking to secure the three points and in the 84th minute made the game safe when Powell fed Roberts again on the right and produced another fine finish for her second of the game. There was almost a fifth in the final minute when Becca Rees saw her long range effort well saved. A special mention should go to Courtney Young who with the squad low on numbers both made the long journey when unwell and produced great performances for their team to get the season up and running with the first points on the board. 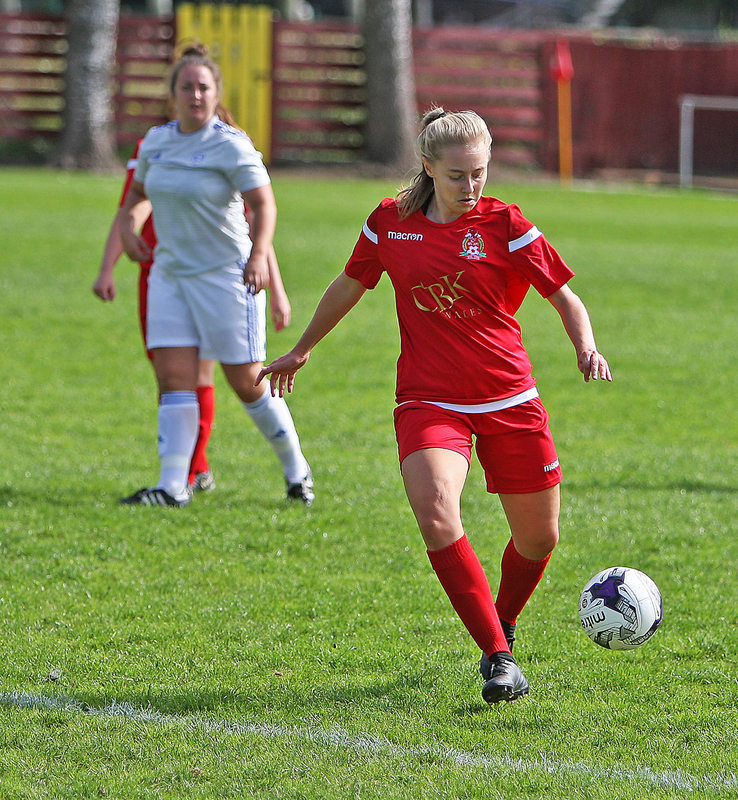 Briton Ferry Llansawel Ladies successfully claimed their first points of the season, following their “Orchard” Welsh Premier Women's League visit to Marcus Street, with a 4-2 victory against basement host's Caernarfon Town Women. Despite suffering a two goal first half setback, they responded, opening their account at the end of the first half, and then added a further three goals following the interval, to move out of the relegation zone for the first time. Team manager Ross Norgrove later provided his post match interview with WPWL reporter Robert Clement, being clearly delighted with the outcome, following the lengthy journey to north Wales. “Obviously I was concerned at being two goals down within the first twenty minutes, with the first one being poor defending and the second one a soft penalty, but I still felt that we were the better footballing team up until that point, and we went on to show that later in the game. “We threatened twice following that double setback with great finishing from Ela Roberts with her being played in on the right to then get ahead of her defender, and done everything right, shooting across the goalkeeper into the corner, after Rebecca Rees had moments earlier brought the Caernarfon shot stopper into action with an on target scoring attempt, with us having a period of putting a lot of pressure on the Caernarfon defence, and it was very important that we scored that goal before the half-time whistle. “There were a few words said in the dressing room during the interval, and the girl's reacted in the second half performing superbly, with Caernarfon not in the game, as we totally run the show and ended up deserved winners. “We scored the equaliser after sixty two minutes with Lucy Powell setting up Megan Kearle and almost immediately we took the lead when Caitlin Phillips set up Lucy to provide us with a 3-2 lead. 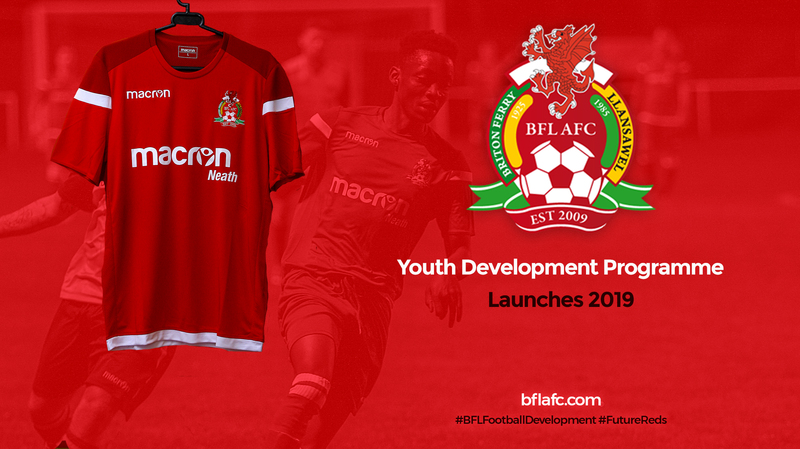 He added: “Prior to this match we've had three tough games, with it always going to be difficult to get anything against Cardiff City, Abergavenny and Swansea City, with us fully aware of that, with this being the game we targeted. 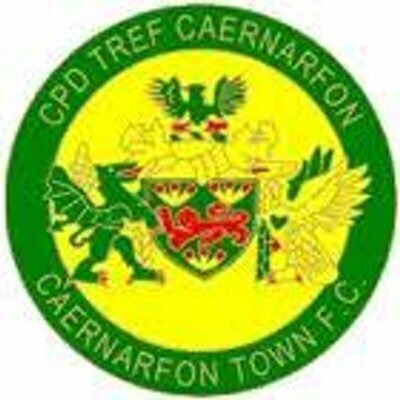 Caernarfon Town: Sara Williams, Cara Hughes, Bethan Jones, Jade Cook, Ffion Owen, Danielle Barnfield (Stephanie Davies 46th min), Efa Williams (Charley Davies sub 65th min), Sioned Bohana (capt), Alesha Donohue, Catrin Thomas, Katie Bowe. 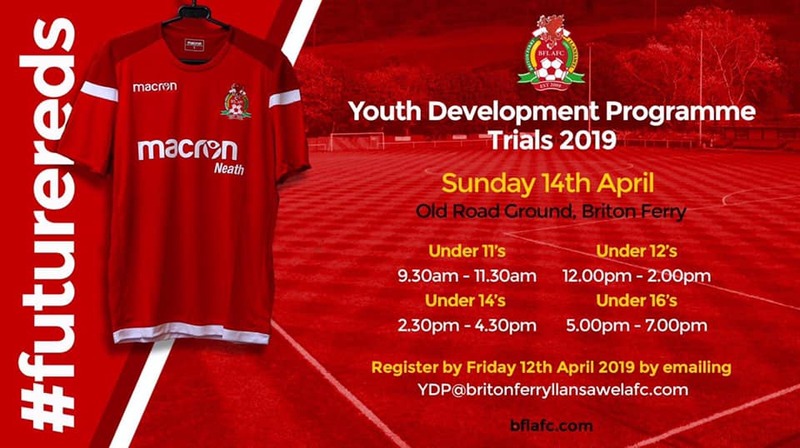 Briton Ferry Llansawel: Courtney Young, Rebecca Rees, Kaylan Norgrove, Anya Welch, Renee Day, Lowri Ridings (capt), Aimee Heath, Lucy Powell, Ela Roberts, Megan Kearle, Megan Jones (Caitlyn Phillips 59th min). Score summary: Caernarfon Town: Alesha Donohue 5th min. Ffion Owen (pen) 18th min. Briton Ferry Llansawel: Ela Roberts 45th min, 84th min. Megan Kearle 62nd min. Lucy Powell 65th min. In one of her first games for approximately 18 months due to an ongoing knee injury she produced a great performance at left back and was solid defensively as well as providing a threat going forward.